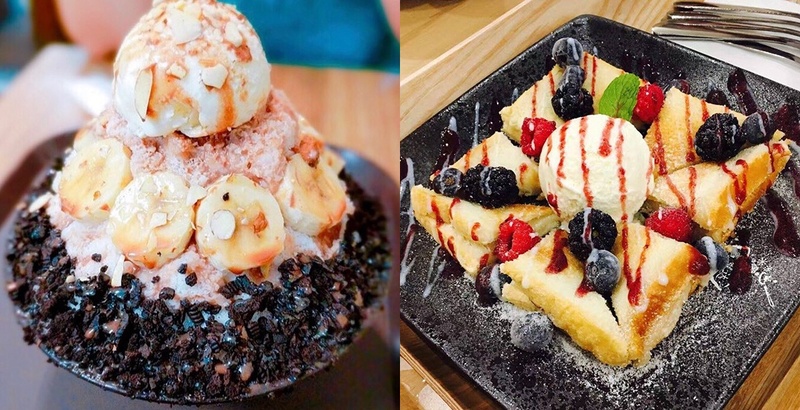 Get your spoons ready – Sulmida Korean Dessert Cafe is bringing its signature style of snowy desserts to a third location in downtown Vancouver. The new location at 780 Denman Street is set for a soft opening on September 30, and will offer all your favourites from Sulmida’s existing Richmond and Burnaby spots. “It is going to be a cute and sweet dessert cafe for people to date, chat and enjoy delicacies,” spokesperson Yuki Yu told Daily Hive. Expect a range of Instagram-worthy, Korean-inspired bingsu – sweet milk snowflakes topped with fresh ingredients, with the texture of real snow. Although bingsu began as a dish of red bean paste with shaved ice, Sulmida is serving up the snowy treat with everything from mango cheese to green tea. Yu told us snow fans could look forward to the launch of two new bingsu flavours at Sulmida’s new downtown Vancouver location. Also set to delight are Sulmida’s range of lava breads, sweet combinations of custard and bread, including strawberry lava and choco lava flavours. Yu said the new store will be very much in the original style of its Richmond and Burnaby locations, which have been open for less than a year. If you need more inspiration to seek the snow, here are a few snaps of Sulmida’s dessert beauties being shared on social media. Enjoy!